← Wednesday 8th July 2015 – Summer Party. 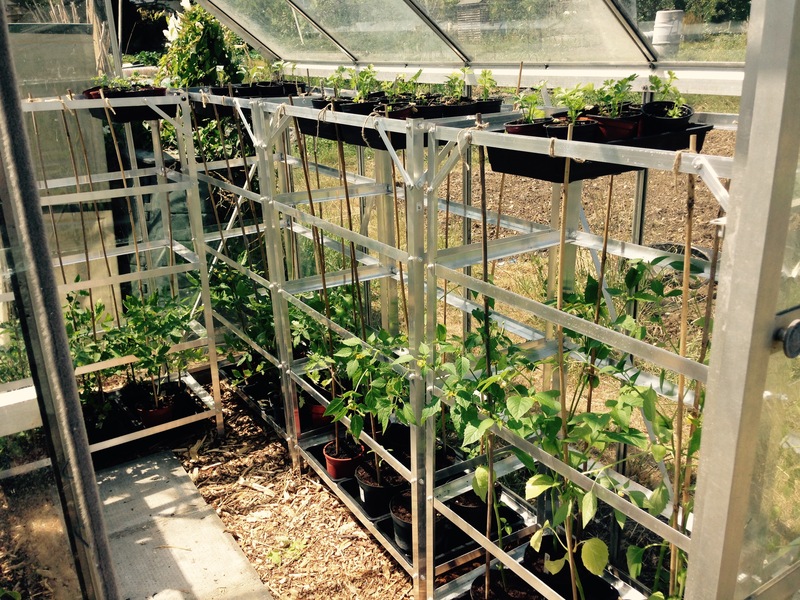 The greenhouse down on my allotment is now full up with “Roma” Tomatoes, and Tomatillos now. They’re all in their final pots and hopefully they’ll grow really well now. The left hand side of the greenhouse. Robbie came to help me again today which was brilliant. We’re still working our way through the bed with all the soft fruit bushes in, but we’re nearly done, which is great. We also planted out some Sprouting Broccoli which when trying to cover it with netting was much easier with two people, rather than trying to do it on your own. It’s great fun having Robbie with me, we chat about all sorts of things and have such a fun time, but work hard as well. I’ve only got him for the rest of this week and then next week, but then my kids break up for the summer, so they’ll need me. But he has been a huge help over the 4 weeks that he’s been with me. I hope that he’s also learnt a huge amount. I’m sure he has. And the right hand side of the greenhouse. This entry was posted in Uncategorized and tagged Broccoli spring sprouting, claire's allotment, Roma VF, Tomatillo, tomatoes. Bookmark the permalink. 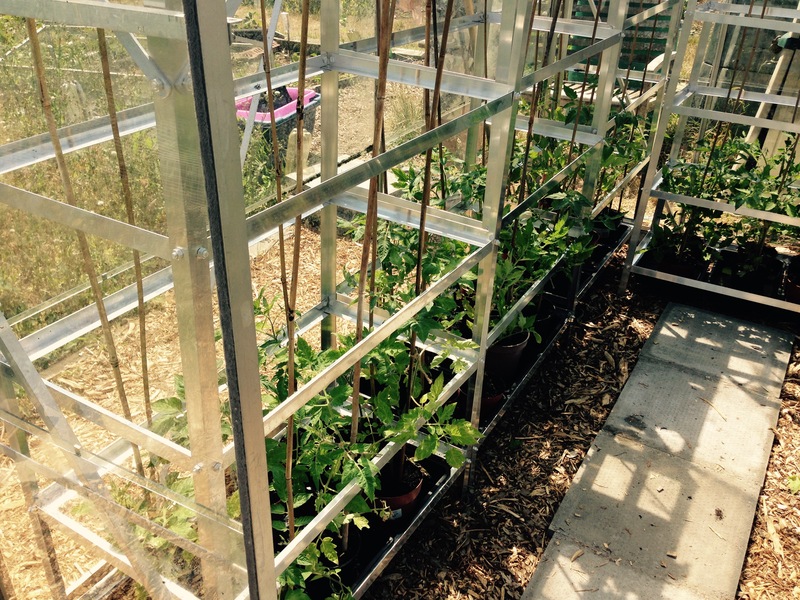 3 Responses to Thursday 9th July 2015 – The Allotment Greenhouse is full!! I like your shelving. Looks really useful. It’s brilliant. I can fit in so much more.